One of the best parts of working for St. Vincent de Paul is seeing how we make a difference in the lives of so many people. One of those people, Tracy Pitts, has a remarkable story. Tracy is mom who struggled in the past with addiction and unemployment. There were times when she fought to provide a home and food for herself and her young daughter. But Tracy always had an interest in helping others, so when she was finally clean & sober, she found employment as a case manager at a homeless shelter and then as a supervisor in a welfare-to-work program. She had her feet under her and was heading down a good path. Then, unexpectedly, life came to a screeching halt when the non-profit organization Tracy was working for lost funding and had to terminate her employment. Tracy soon fell into a state of depression and despair. After almost 3 years of being unemployed, exhausted, and unmotivated, she desperately needed help. She heard about the St. Vincent de Paul Workforce Development Program which offers paid work experience, job training and job search assistance. Our Workforce Development Program provides training and work experience for those who have “barriers-to-employment” such as past incarceration, addiction or no recent experience in the workplace. The goal of our program is to help participants find long-term, satisfactory work at a decent wage upon the conclusion of the 24-week WFD Program. Tracy’s confidence level soared after completing the 6-month program. Tracy felt good about the SVdP environment and saw that the SVdP staff genuinely cares for and reaches out to the community. Tracy decided she wanted to be a part of an organization that was invested in helping others. She became a lead store clerk at the SVdP Pleasant Hill location and when we opened our new SVdP Brentwood Help & Hope Thrift Store, she was promoted to Assistant Manager. 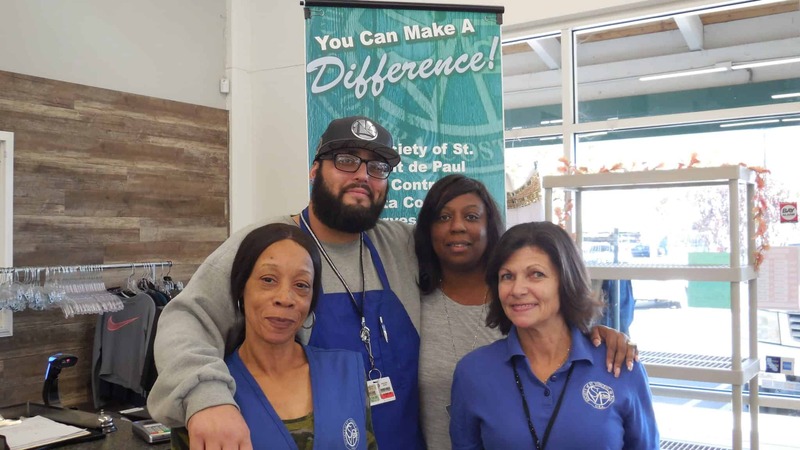 Tracy has grown to be a valued member of the St. Vincent de Paul team and was recently appointed Store Manager at the SVdP Brentwood Help & Hope Thrift Center. She has a bright future ahead! Thanks to your past support, you have made a difference in the lives of people like Tracy. SVdP has helped many others like Tracy during our 54 years of operation in Contra Costa. With your support, together we can continue to make a difference in the lives of those in need and can make the world a better place. Not only is St. Vincent de Paul changing lives, but we are one of the most trusted non-profits in the county, with a Charity Navigator rating of “Gold”. 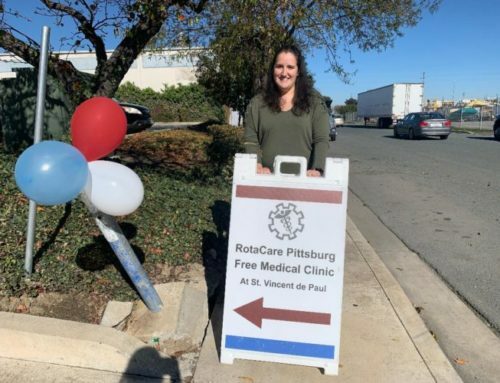 Recently, SVdP was recognized for the “Outstanding Collaboration of the Year” by the East Bay Leadership Council for the free medical clinic program, RotaCare Pittsburg Free Medical Clinic at St. Vincent de Paul. The clinic serves low-income residents who have no insurance. In addition to the employment program and free medical clinic provided by SVdP, we provide food for the hungry, shelter for the homeless, dental care for the sick, clothing and furniture for those in need. 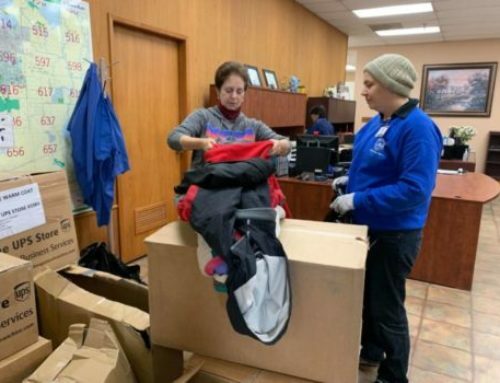 Our more than 750 “Vincentian” volunteers, through their work in our 29 parish-based branches, provide personalized help to anyone in need…as we believe every person should be treated with compassion and dignity, and no one should go without the basic needs in life. We seek not only to bring bread and assistance, but friendship and compassion. This holiday season, would you consider a gift to St. Vincent de Paul so that we can continue to help people like Tracy? Your gift can change the path of those who are struggling and is tax-deductible to the fullest extent of the law. Thank you very much! I wish to all of you a Merry Christmas and Happy Holidays!